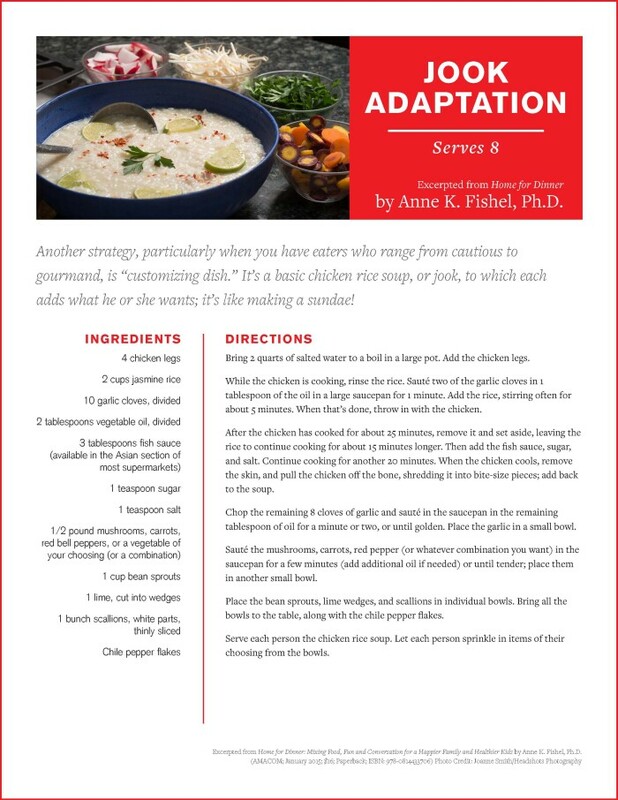 Dinnertime is a great way to connect with your kids after a busy day of work, school and extracurricular activities. 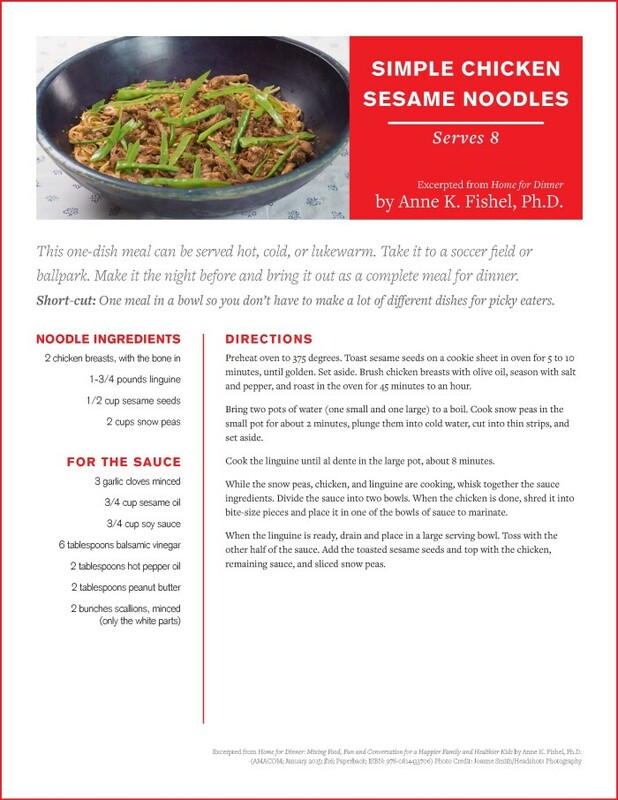 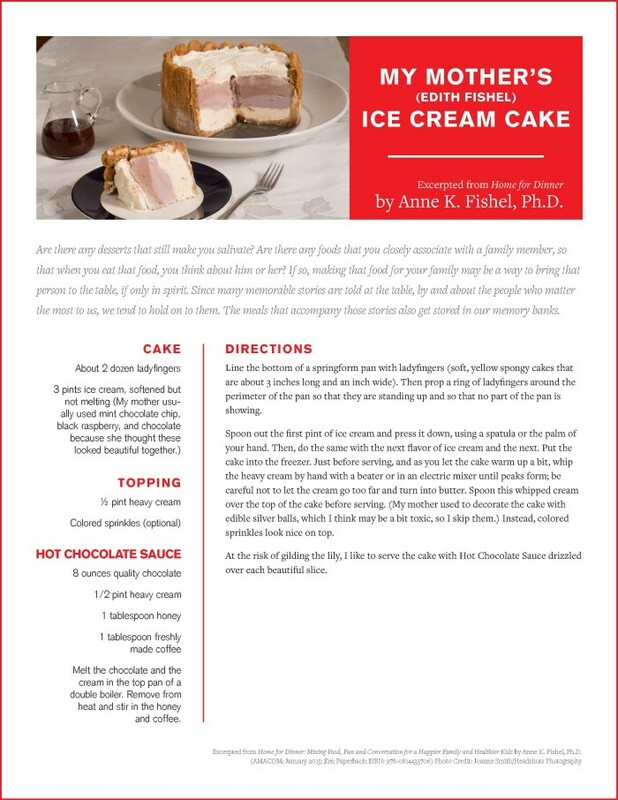 These family friendly recipes, excerpted from Home for Dinner by Anne Fishel, Ph.D., make it easy for you to involve your kids with meal prep! 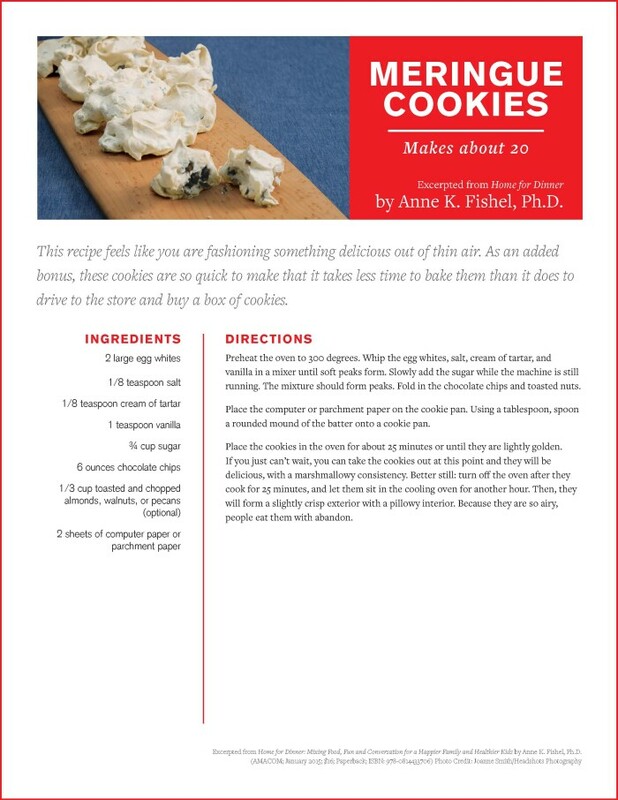 Click on the images below for printable versions of each recipe. 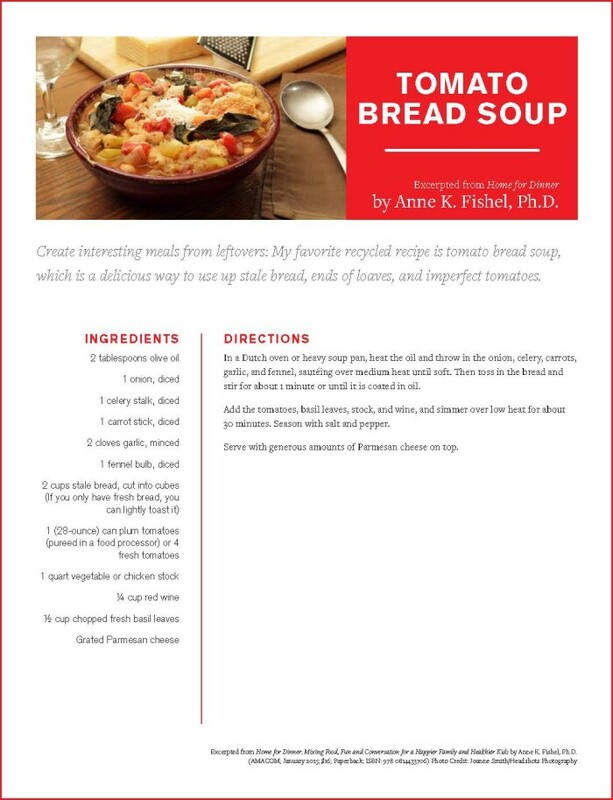 Interested in using these recipes to bring quality time to your family’s dinner table? 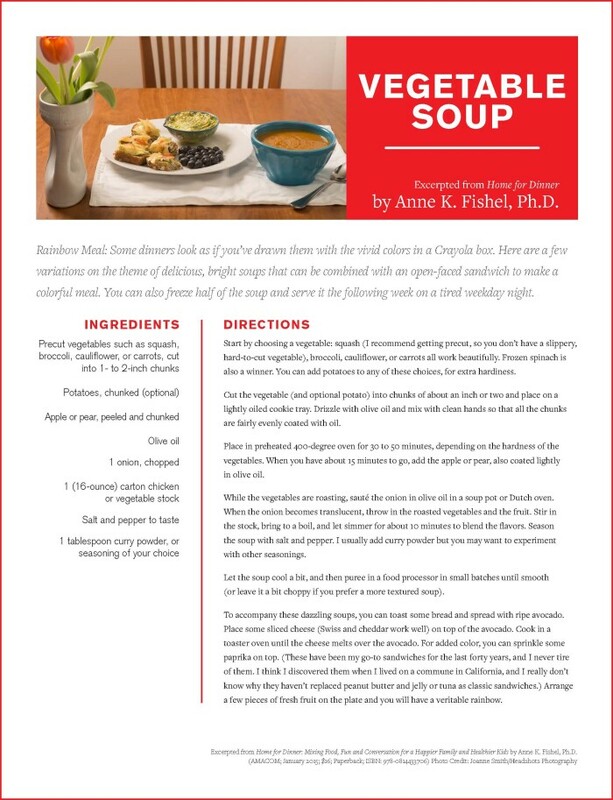 Dr. Fishel has 5 tips for making family dinner time a regular ritual.